Work with Bullseye Glass in sheet form, as well frit, to create an 18 inch glass bowl. 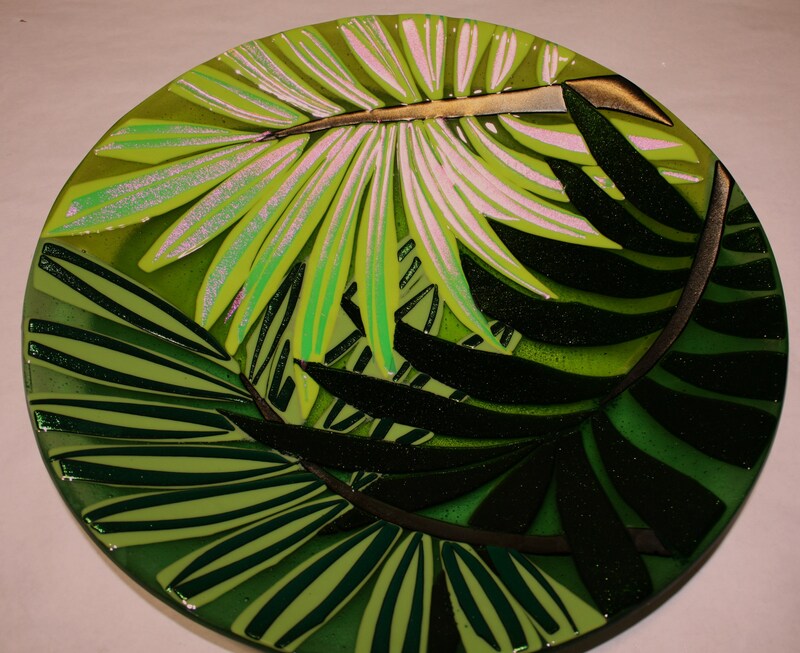 In this introduction to glass fusing, you will practice with basic glass tools, gain experience in pattern making, and work with kiln firing schedules, all essential techniques for fusing and slumping glass. All materials to create one art piece are included. Hand tools and safety wear are provided for class use. Projects will be fired and ready for pick up a week following your class. Closed toe shoes are required. Please bring water or cold drinks to stay hydrated. We will use latex gloves, so please bring alternate gloves if you have a latex allergy. Bring a notebook and pen, as well as lunch and snacks.